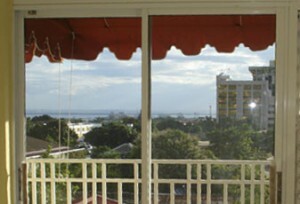 Have you seen lovely, enticing apartments advertised for sale in Kingston, Jamaica? Luxurious? Penthouse? Certified by the municipality (KSAC)? Sanctioned by the Real Estate Board? All that means nothing! Thinking of buying one or two? Think again! Beware – there is no legal provision, no government regulatory body for apartment owners in Jamaica. It is a do-as-you-please, charge-what-you-feel-like situation for the operators of these complexes. Having purchased an apartment last year, with the help of a mortgage, I was in for some rude awakenings. I am sure that many of you will have heard the term that ‘Inglan people ah ediat’ and ‘Inglan people mad’ among other descriptions. Well I am not an ‘Inglan people’ but I have lived in England for twelve years, during which I have worked in education, Information and marketing. I am a community person, because I love my culture and I love my community, so I work in the Jamaican community, paid and unpaid with the young, the old, the good, the bad and the in betweens. I knew a lawyer, who worked for a reputable law firm in England who does work for a number of Jamaican companies and when he was returning to Jamaica he told me that if ever I needed legal services in Jamaica I should contact him. Well, last year I decided to buy a property in Jamaica – looked at a townhouse, which was being built and spoke to the lawyer. He came back and advised me that upon investigation the developer was having financial problems and would be unlikely to be able to complete the buildings soon. However, there was a new apartment in the complex where he lived for sale. He contacted the seller and I looked at it. It was very nice and in a sought-after central location. The lawyer started the process. After completion (in about four months)the apartment was still unoccupied, all went well , until suddenly I received a water bill for J$9,786 in one month! When I enquired, I was told that I had a leak. LEAK! Where did that come from? I was in England, yes, but the only person who had a key to the apartment was my father, who was not even in Kingston. Well, the next month the water bill was J$3,500. Strange, I thought – this leak dangerous. Next month, the bill was J$2,500. The leak seems to fixing itself; rather than increasing it is decreasing but still I want to know where the leak is coming from and more importantly, where is it going. After sending an email informing the Strata Management Agent, who I have discovered is the wife of the ‘reputable lawyer who introduced the property and handled the purchase, and who is also the Chairman of the Strata Management Committee, and has contracted his parents’ company, with whom his wife works, to be the Strata Management Company’, to inform her that ‘something seems to be afoot with the water bills and it ain’t 12 inches’, I received an email from the developer’s son, who is also a friend of the ‘reputable lawyer’ saying that my apartment has a massive leak which is affecting the apartment below me. A room with a not so good view after a dramatic turnabout. “I would like a notice of the unit rate that is used to calculate the water bill for the bills that I have received from you to date, including how the unit rate is arrived at. “I would also like a copy of the document that outlines the management terms and costs for the person/s/ and/or organisation that has been engaged to manage the strata. ‘You have come to the right institution. We will ultimately get the responsibility to supervise strata corporations but the act governing strata corporations is being revised to give us this mandate and to correct shortcomings noted in the Act’. Well, the long and short of it, is that the ‘reputable lawyer and his wife‘ faced with the evidence, still insisted there was a LEAK! I then brought in a plumber and his assistant to physically cut the pipe, whereupon ‘reputable lawyer’ called in armed security and kept his hand on his gun on his waist and then complained to the developer that I brought a ‘gang to intimidate him and his wife’. Me, peaceful, law-abiding victim of the scam! Now, I can’t go to my property without armed security because my lawyer and others have warned me that the fact that they have licensed guns, they will have no qualms about shooting me and then telling lies. I have had to put my dream apartment up for sale. Then the Minister of National Security says he is going to stamp out crime in the political garrisons. Wise up, Minister Nelson, you are looking in the wrong place. Start in the offices, the apartments, start above Cross Roads and keep moving up and you will be amazed at the results.